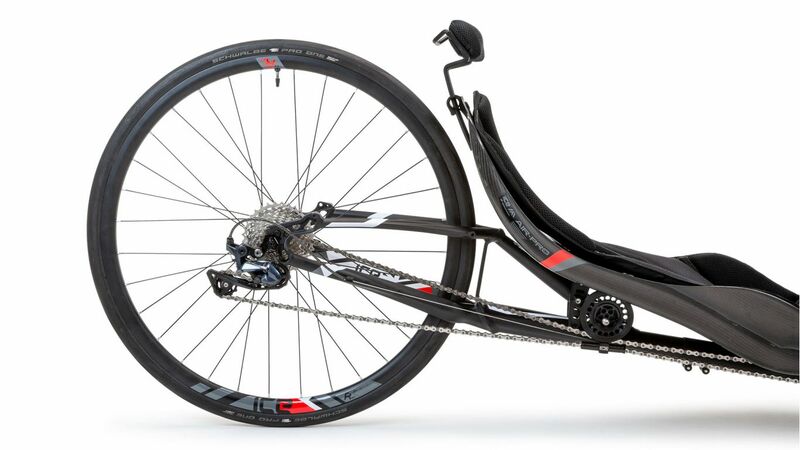 The ICE VTX recumbent trike has evolved, with a new matte black color scheme, easy access swept cruciform, and all new custom super light wheels. A dynamic new look and custom graphics make the VTX Black look as sleek, light, and as fast as it rides. It's also officially the fastest trike in the world in 2018. Winner of the 2018 Multi-Track Class World HPV Championships. Over 100 riders from all over the world travelled to the UK and competed in 9 different classes and 5 different events to race to be the fastest human powered vehicle at Betteshanger Park, Kent in July. 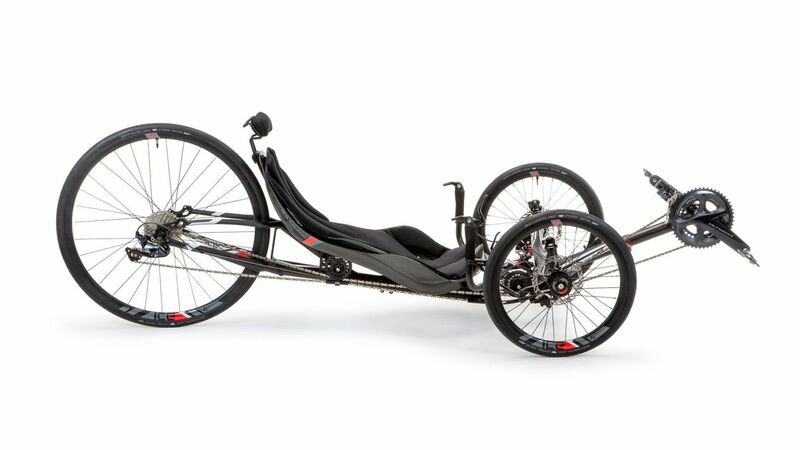 This demonstrates the winning pedigree of ICE's world class flagship VTX Black performance recumbent trike. 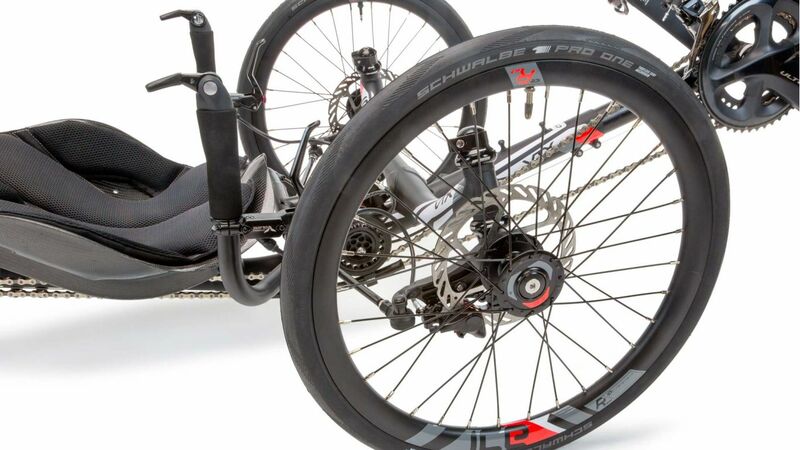 Every stage, from trike design, specification of components, to build and assembly, with rigorous attention to detail, gives you the peace of mind you'll be riding one of the best performing trikes in the world. All backed up with a 10 year warranty and enviable reputation. A perfect blend of performance, dynamic handling, and comfort, coupled with stunning looks and detailing, combine to create the ultimate trike. With the lowest seating position of all of ICE's trikes, the VTX Black delivers superior performance, guaranteed to put a smile on your face. VTX Black features ICE's easy access swept cruciform, creating improved heel clearance, making it easier to get on and off the trike. This frameset is lighter than the previous VTX frame. Black state of the art custom lightweight wheels are lighter than the previous VTX wheels. They are more aerodynamic and have a new modern profile. Tubeless compatible to save even more weight. An optimized cruciform and one piece handlebar provide stability and nimble handling no matter what the speed. ICE’s No Brake Steer system ensures that the speed of each wheel and the tracking of the trike are completely independent, so steering is not affected by braking at speed, uneven braking or cornering. A low seat position and recline angle as little as 25° minimizes frontal area and reduces aerodynamic drag. Carefully considered design and specialized components, such as a lightweight boom and carbon fibre seat, brings the VTX in at under 30 lbs. Beautifully sculpted, the hydroforming process gives the rear frame optimal strength and stiffness while remaining lightweight. Recognizing that the shape and riding style of every rider is undoubtedly different we also designed a personal padding system that is provided separately, these pads allow the rider to place extra pads directly to the shell and under the cover for added support in areas they deem necessary. Our Air Pro hardshell seat is handmade in house to the highest quality control standards by our master craftsmen. It is a lightweight form fitting seat which is stiff and strong, providing excellent power transfer and making sure everything you put into the pedals makes it to the road. It is available in two materials and two sizes to suit different riders and different budgets. It is finished with a dual density foam core fabric cover, tuned for maximum comfort while, keeping the weight low and the feel of the seat sporty. The Carbon fibre version of the Air Pro seat is around .5kg lighter than the same size seat in GRP. 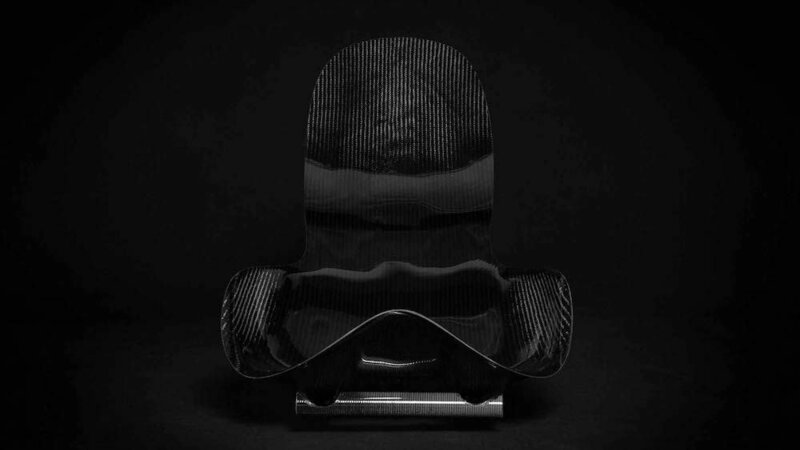 It is made from layers of carbon fibre woven sheet, with the fibers orientated for maximum strength in specific areas of the seat. The fibers are bonded together with epoxy resin making it lighter and stronger than the GRP version of the seat. But, that does come with an increased price tag. It has the classic carbon fibre checker board finish. ICE Trikes offers a wide variety of accessories, from water bottles and apparel to computer and light mounts, mud guards, pedals, packs, spare parts, tools and much more. 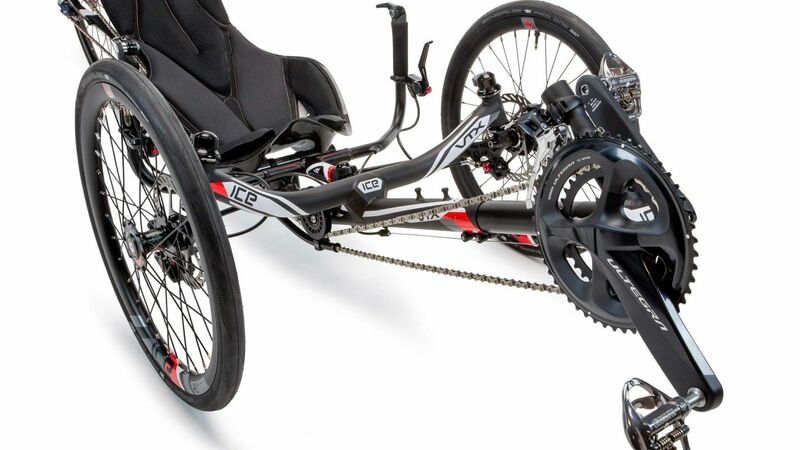 Visit the ICE Trikes Accessories page for a complete list of offerings.